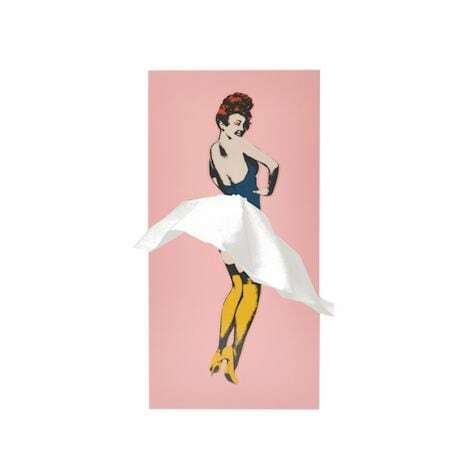 You've seen the iconic image of a subway grate blowing a skirt teasingly up; imagine the delight in having that fun effect every time you grab a tissue. 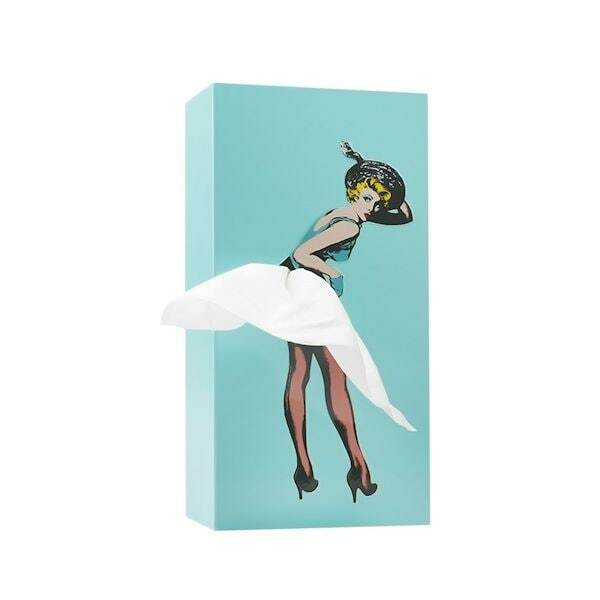 A mint-colored tissue box holder features a retro image of a gal with great legs, while a perfectly shaped cutout creates a flirty skirt at the perfect spot. Plastic and metal. Sized for a standard tissue box.